Large works are back in the exhibition, however other than this I didn't note any other particular changes within the exhibition compared to previous years . My initial impressions were that there were fewer works and fewer non-members exhibiting however apparently there are only 12 fewer works than usual while there are much larger works included in the exhibition. There are however quite a few non-members with just one work accepted. Only the serious applicants (Year 1) / candidates (Year 2) for admission had more. John Ivor Stewart, the President of the Pastel Society, assured me that the emphasis is always about quality and being a member is no guarantee of getting your work accepted. 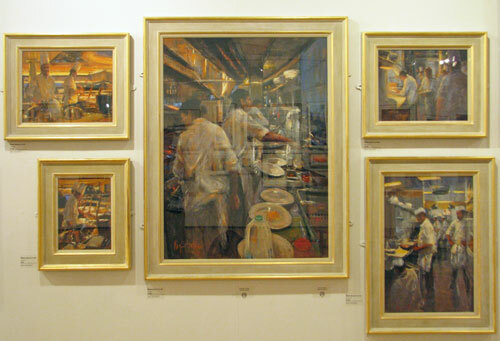 He'd like to see more work in future which isn't just about a subject which somebody has chosen to execute in pastel. He'd like to see more emphasis on the subject being the starting point for more exploration of the potential of pastel - taking risks with pastel marks. 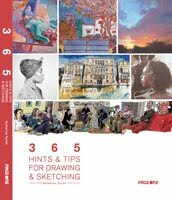 I'm trying this year to pick out people I've not highlighted in reviews of Pastel Society Exhibitions in previous years - see the end of this post for links to those reviews. I always do at least two tours of any exhibition. I've noticed a couple of things over the years about what pulls me back on the return visit. On the second visit I begin to get a feel for which works have stayed with me and I want to take a closer look at. By the same token flashy works which attracted my gaze first time around often fail to keep my interest later on. I also whizz past works I find boring on first glance on both tours - sorry! 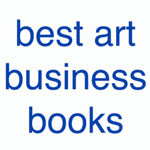 Can I just emphasise that failure to get a mention does not mean any artist or work falls into the latter category - however I am emphasising what it takes to get my interest! Over and above that there are always works which just don't quite do it for me. It's a very impressive triptych and nice to see somebody using formats which are not used so much these days. 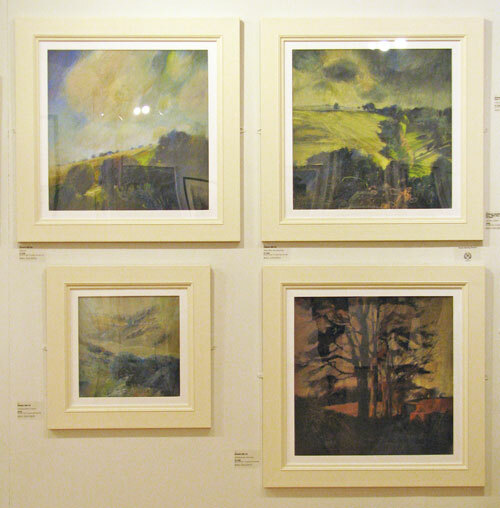 It's also good to see very large works back in the Pastel Society Exhibition - those by Mark Leach have been much missed. This is presumably in part due to the fact that large works can now be pre-submitted digitally to avoid undue expense of submitting them in person. 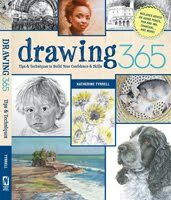 Patricia's works are altogether more structural and have more impact than those frequently seen by artists working in pastels. 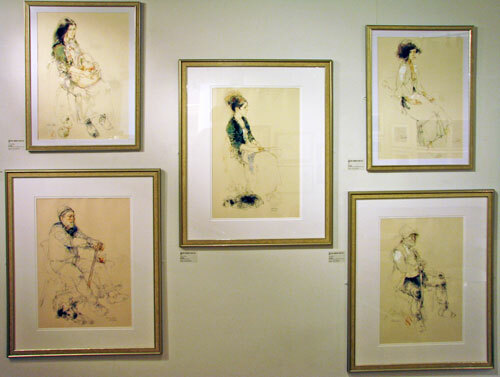 I expect her current exhibition in Scotland - Drawings (on) Riverside Exhibition at the Kelvingrove Museum & Art Gallery, Glasgow (15 April - 14 August 2011) will draw rave reviews judging by the works on her website. I'm also most impressed by what appears to be a prodigious output bearing in mind how large these works are! The size of the work also reminds me what people are missing when they create limits on the size of work which can be entered into art society exhibitions. 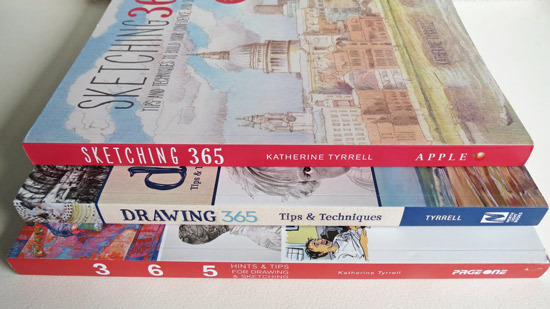 Matthew Draper who I featured in last year's review and who won two prizes last year is still not a member of the Pastel Society but I rather think he might be very soon. He's another artist producing some large work. I thought it was a pity his work was split between a large and impressive townscape in a burnt orange palette (see top photo) and works in a blue greys in the North Gallery. Also in the North Gallery I liked the strongly graphic but also very subtle drawings of trees and pathways by Susan Dakakni PS - particularly the top work of the trio which has some very subtle colours. She's obviously a lady who loves charcoal. I liked the fact that the colour wasn't "in your face" but was very subtle with just flashes of zingy colour. I felt they very much benefited from the light mount and way they'd been framed as this avoided the works from becoming over-dark. 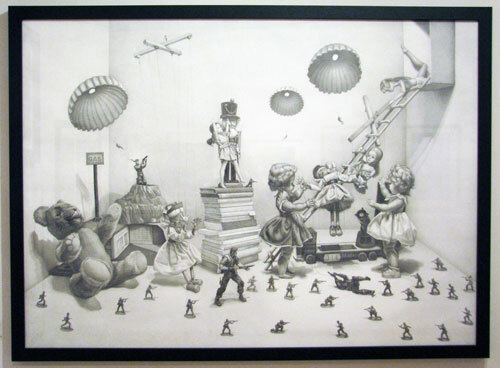 Another artist working a large monochromatic work - this time in pencil - is Amanda Palmer who is a prize-winning artist and a Postgraduate of the Prince's Drawing School's Drawing Year. She has produced a standout piece - Noughts and Crosses - which was totally unexpected! One of those works where you find you keep returning to find new parts to the drawing. Her explanation for her work on her website is fascinating. I was really rather surprised it hadn't won a prize. Could it be because it was not a pastel work? Incidentally, I spotted a proofing mistake. If I was Sheila Goodwin SWA - whose splendid work was also in the North Gallery, I think I'd like my name to be spelt properly in the catalogue and on the labels! 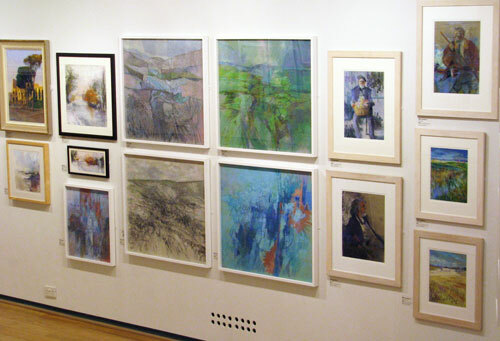 There were a number of strong suites of work by Pastel Society members in the Main/West Gallery - which is where most of the members are hung. I do like the way members works get hung together in this exhibition. It has huge impact when they are all of a theme. Here are some examples. 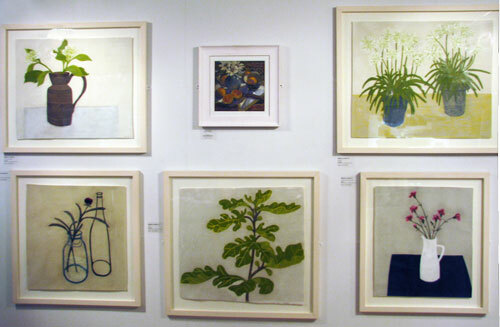 Angela A'Court's still life paintings are not the sort of work one tends to associate with pastel paintings. However her strong clean shapes and simple palettes 'read' incredibly well across a room and I understand they're very popular. 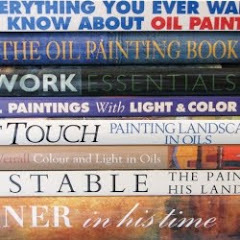 26th April 2011: Roger Dellar will be demonstrating during the afternoon starting at 3.00pm. 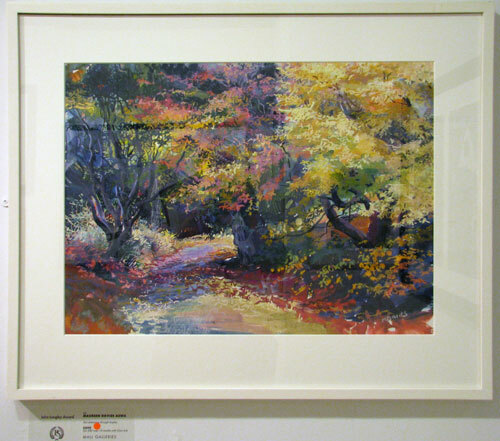 27th April 2011: Roy Wright will be working on a 'Work in Progress' painting from 1pm to 5pm. 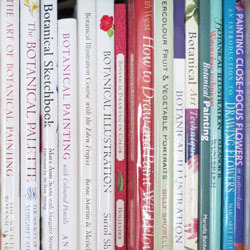 28th April 2011: Ann Wilkinson PS RBSA will be demonstrating from 11.30am to 3pm. 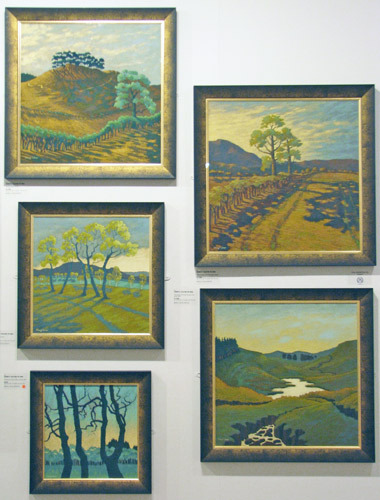 The exhibition is being held in the West and the North Galleries of the Mall Galleries on The Mall in London. It's open until Sunday 1st May 2011 between 10am to 5pm. However it closes at 3pm on final day. This is the page you need to read if you are seeking election to membership - it takes two years. 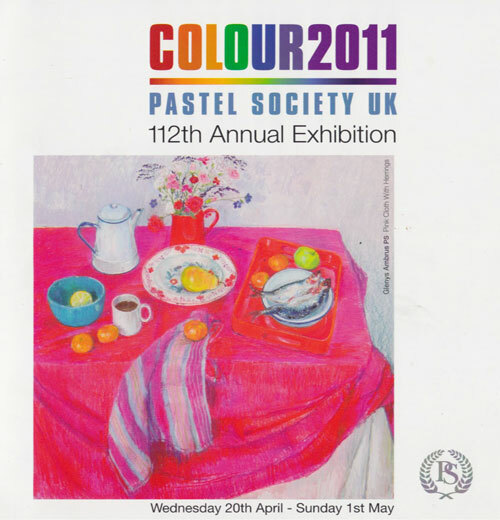 For some reason I cannot fathom, The Pastel Society has decided to add UK after its name. This is the only Pastel Society in the English-speaking world which has never had to explain the country it relates to. The only word that is important is "The" and that's because every other pastel society came after this one! It's also one of the reasons why international artists are so keen to apply for membership! 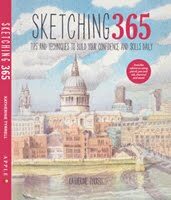 There's no problem having a strapline which indicates it is British or that it covers the United Kingdon - England, Scotland, Wales and Northern Ireland - however from my perspective there is absolutely no reason to add in UK to the title. 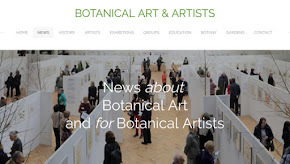 For me it diminishes rather than enhances the name of the art society. and I agree! Time for a rethink methinks! 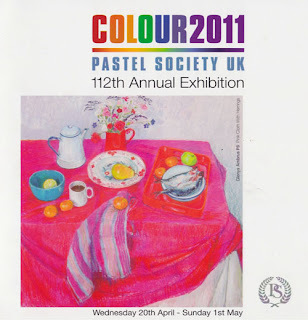 At any rate I'm going to go on referring to it as The Pastel Society and will not be adding the "UK"! I agree with your thoughts about changing the name for the exhibition. 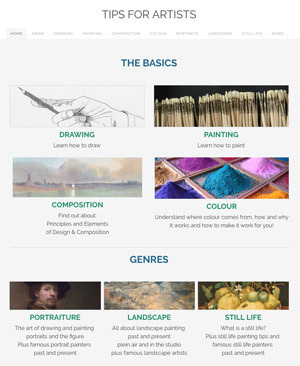 Pastel is a beautiful medium and deserves a share of the exclusivity given to watercolour and oil. WOW Katherine! Thanks for taking the time to write such an detailed inclusive review of the exhibition. I really enjoyed it.